So most people don't really farm together, unless it involves key farming/uber farming. There really is no incentive to kill ordinary content together due to the slower kill speed it usually causes, and organizing a group with no incentives is just a waste of time and effort. Stacking MF or GF and +bonus exp on a follower is always more beneficial as well. 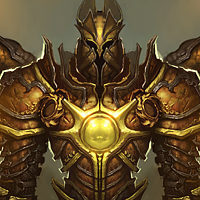 Why not add another nephalem valor type buff for each additional person who joins the game? When 2 people party up, they could each get a 25% boost to experience, magic find, and gold find, maybe even a small boost to pickup radius as well. Add another 25% boost per player after that, so 3 players each get 50% Exp/GF/MF, and 4 players would get a 75% boost to Exp/GF/MF. People would actually consider playing together and farming together because they could get double the NV 5 stack bonus. Good teams could benefit a lot from this, and the game would be more social. aside from that, if it would be possible to make joining brawling games more easily that would be great, randomly joining a1 pubs over and over until you find one where the players are brawling is just terrible. Yea I was thinking this same thing. I played with two others today and did my normal farming route, and my efficiency was cut in half. It wasn't even me carrying them they aren't bad players or poorly geared, it just slows everything down so much and doesn't really add any benefit. Co-op is the opposite of fine when it's bad in every way possible to add more people to the party. I think a good idea to help improve co-op, would be giving each person a different color or there name above them on the mini-map. That way you know if red is the leader, well, try to follow him. 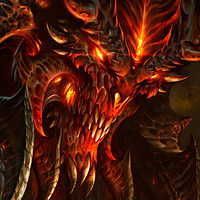 If hes blazing through monsters and you lag back for a second picking up a demonic essence and a ring and an item, and your in a group of 3 or 4.. well who to follow? That dunce tagging along and went on his own way to kill a colossal golgor solo with 50k dps, or the witch doctor 150k dps speed running and acid clouding everything in one shot? It would be nice if there was red, blue, green, yellow so you could identify who to follow. I also think your idea of extra mf/gf is cool, but blizz is about this "dont want to force people into it if they dont want to" is what I think their thoughts on adding a mf buff to groups would be. We are looking to improve co-op farming efficiency in 1.0.8. Co-op play in general is a big focus of the 1.0.8 patch and efficiency is definitely one component of that. Co-op is already more efficient for some players, but this is the exception rather than the norm. The degree of co-op efficiency depends heavily on the co-ordination of the party, skill builds, and the relative gear level of the teammates. Since launch we've made some modest changes to encourage co-op play but there's still room to go farther. At the same time, we don't want to go so far as to make multiplayer feel "mandatory" for those who prefer to play solo, but we still want to err on the side of being co-op favorable. There's also a number of hurdles to co-op play beyond raw efficiency, so we'll be looking to alleviate/solve some of those hurdles too. The Identify All feature in 1.0.8 is an example of this. Sometimes the trip back to town to sort through a bag of gear is enough of a hurdle to make somebody feel playing co-op isn't worth it. Nobody wants to be in the dungeon fighting monsters while your teammate is off in town identifying a full inventory. I think as Wyatt said, Identify all will dramatically help keeping the group together. A maximum distance from each other is another idea that could help. Another is increasing run speed to all players passively when in a group, though that may a bit more drastic. What I would like to see in co-op is allowing us to have our followers in a pub game. Then we can show off what our follower's got too. It was fun in d2 to show off my merc's gear to my friends. Plus we wouldnt lose those added buffs our followers grant us for using them when joining a pub game. I second the ID all idea fully. Was wonderful to ID all your unid items at once, gets me back in the fight faster, huntin for more loot! Sounds great man, another thing I'd also like to see for Co-op is maybe some sort of tweak to the respawns, maybe have the player banners available at the checkpoints so that we can just get right back in to the battle, or perhaps making it so that when we die, we spawn back in the main town hub. Co-op is already more efficient for some players, but this is the exception rather than the norm. They're called leeches. I see them in pubs all the time. Less loot in general is going to help with downtime. That in conjunction with identify all will almost eliminate the need to make several trips to town between each run. Is something like increasing numer of players in group on the table ? Now or in the future ? How about any word about waypoint to any act ? And I think Increasing number of elite monsters in public games would make sense, not guarentee reward, not simple +x% to reward but something that will boost gameplay experience and possible boost your rewards. 4players - 2x more elites. This. Allow the "auras" to stack as well. Fixes most problems with co-op. I also suggest increasing the distance from which you receive xp/drops from your teammate's kills. My Archon Wizard friend likes to join my games but inevitably goes off to clear other parts of the map so he can keep up his buff. Would be like the old Bloody Foothills days. More legendary like Puzzle ring would encourage co-op. You get "full" benefits by playing alone, but you "double" (or more) the benefits by being in team. Allow multiplayer uber farming too. Matchmaking that is dedicated to this. Must be within 250 Diablo yards of other players to get the buff. 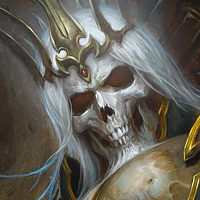 This takes away the Leoric/Hellfire bonuses and follower bonuses for GF/MF that you lose in multiplayer. That's a quick and dirty way of encouraging party play. Coop is only more effective for people who are under-geared and need to leach off geared people in pub games. At best, it's AS fast as playing solo for good players, never faster. If someone joins and you go faster than when you play solo, then that person is better than you and you are holding them back. I still play coop all the time because I have RL friends to play with and some awesome people on my friends list, so it does frustrate me that it's less efficient. I'm glad to see you guys are looking into this. Coop should feel like an advantage. That's the whole point of coop. You are ganging up on your enemies. My advice would be to tone down the ridiculous hp scaling at the highest mp levels. Coop isn't bad on lower mp but at the top it's a punishment. It shouldn't take almost twice as long to kill an elite on mp10 as it does on mp9. Coop just exacerbates this by adding even MORE hp. Make enemies hit harder if you want to compensate. I dunno, just my 2c.